When my 9-year-old started taking more than an hour to fall asleep every night, I turned to an adult meditation app to help. It worked — she was soon off to Dreamland — but I wanted an age-appropriate one. Then I heard about Mind Yeti. 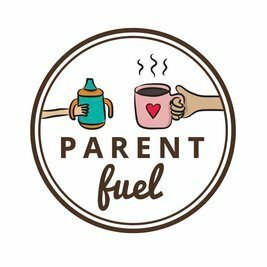 Created by global nonprofit Committee for Children (CFC), this web-based app offers free guided audio and video sessions that help children better regulate their feelings and behaviors through meditation. Although I haven’t tried Mind Yeti with my daughter yet, what I've seen seems promising. The program’s light blue Yeti character waves at me from his online home. I play a roughly 3-minute long “Hello, Breath” session and a woman with an Australian accent asks me to place my hands below my mouth and breathe into them. For the first time all day I notice how my body feels. There might, I think, be something to this. CFC is well-known for flagship program Second Step, an evidence-based curriculum that teaches social and emotional skills like helping kids understand others' perspectives and develop strong problem solving skills. More recently, CFC created New Missions Ventures to help broaden the organization’s focus of fostering children’s well-being. Mind Yeti is part of that push. The Mind Yeti team has heard from parents who say nothing has ever worked so well for their anxious or insomniac kids. 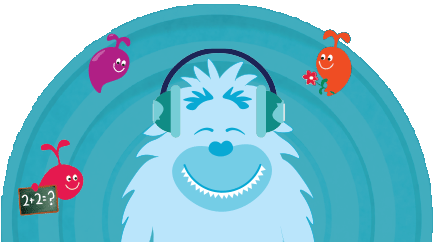 Designed for adults and kids, typically ages 5 to 12, to use when meditating together, Mind Yeti currently features 12 free guided audio sessions online that focus on three areas of content: calm, focus and connect. The first, calm, focuses on slower breathing and being aware of breath. Focus asks users to pay attention to a particular sound or body part, while connect highlights gratitude, kindness and relationships. Kids, Doces says, are particularly asking for more of the connect content, which is story-based and asks them to imagine doing a kind act or to think of something that makes them feel good before saying a silent thank-you. Although Mind Yeti has only been out for five weeks, there are more than 5,000 users in the U.S. and around the world. Doces says she was unprepared for the kinds of stories people are telling them about using the program. The Mind Yeti team has heard from parents who say nothing has ever worked so well for their anxious or insomniac kids, while an administrator from Philadelphia says her school’s use of Mind Yeti calms students before they leave for the day — sometimes to return to violent neighborhoods. The kids like it, too. Already the character Yeti has become both a noun and a verb with younger users ask “Can we Yeti?” when they’re ready for a session. I’ll be watching to see how long it takes before that’s added to Urban Dictionary.